A potent mix of salvation and adventure, the Crusades were one of the most prominent features of medieval Europe, reflecting and directing religious and secular movements in Western society for half a millennium. Christopher Tyerman offers this book-length study of the role of England in the Crusades which focuses on the courtroom and council chamber rather than the battlefield. 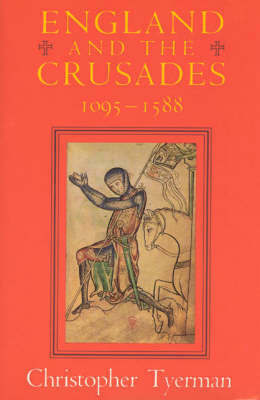 Tyerman seeks to demonstrate the impact of the Crusades on the political and economic functions of English society. Drawing on a wide range of archival, chronicle, and literary evidence, the text illustrates royal personalities, foreign policy, political intrigue, taxation and fundraisingm, and the crusading ethos that gripped England for hundreds of years.